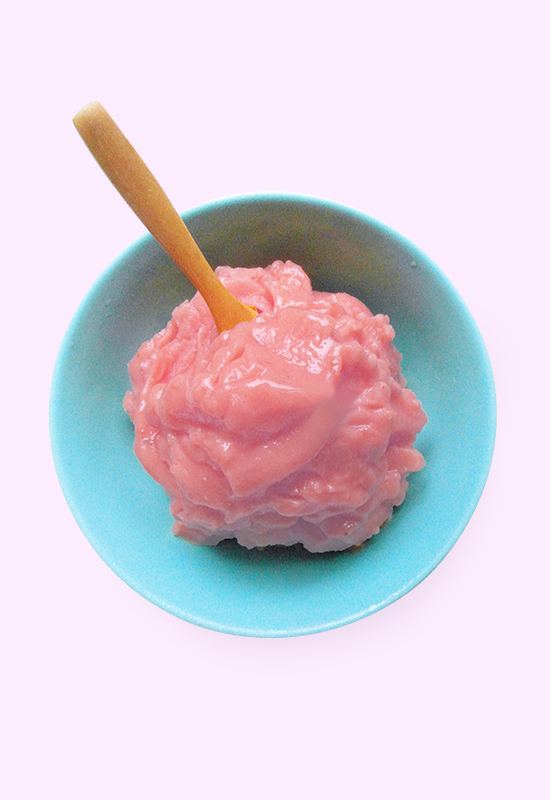 Raspberry coconut nice cream is a sugar-free, dairy free ice cream. This frozen creamy dessert is a perfect summer treat to cool off after a day of soaking up the sun. Two years ago I lived on the island of Malta in Southern Europe for a while. It was the end of September and still very hot outside – my kind of weather! In search of refreshment, my boyfriend started to experiment with frozen fruit ice cream and we can’t get enough of it ever since. There are different kinds of plant-based fruit ice creams; the sorbet types which are water based, popsicles and -my favorite- creamy nice creams. These usually have a base of frozen banana or coconut cream or a combination. 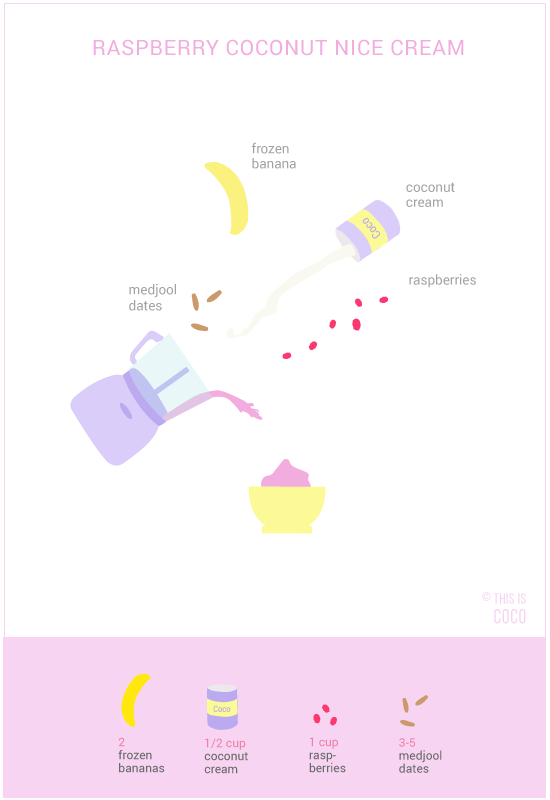 When you freeze banana and blend it, it becomes super creamy and has the consistency of classic (dairy) ice-cream. Only it’s much better for you and it’s vegan! Since Malta we must have made dozens of nice cream variations. Whenever we are in a new country, we have to try a few with the local fruit and since we usually stay in hot climate countries, refreshing, delicious nice cream is always more than welcome. For this raspberry coconut nice cream you’ll only need 4 ingredients, a freezer and a solid blender or food processor. 1. Use very ripe bananas – when they get soft and bruised they’re perfect! Cut the bananas in pieces and freeze it for at least 12 hours. I find that this results in the best flavour and texture, making it extra creamy. it unopened in the refrigerator overnight. will be in the top part of the can. 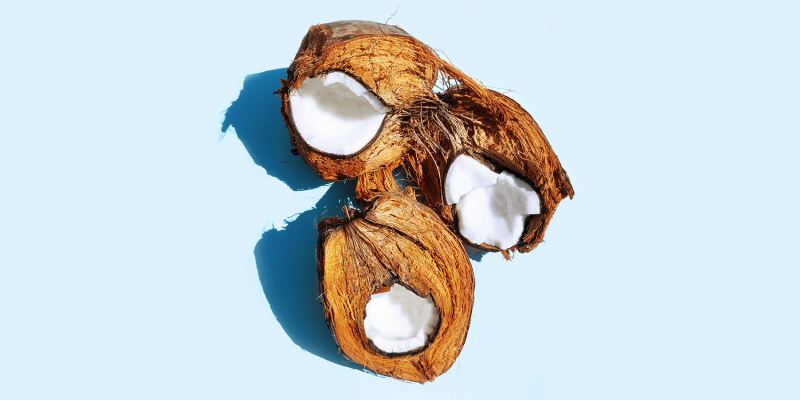 For this recipe we’ll only use the cream part, you can save the coconut water for a shake or smoothie. 3. Use a blender of food processor to mix the bananas with the coconut cream. 4. Add the raspberries and mix again. 5. Taste to see how sweet you want it and add some pitted medjool dates. 6. Serve and eat right away!